Soap. You might be thinking, “AGAIN?!?!? !” Yeah, again. When I find soap I love I like to post about it. Although, I am remiss in regards to this soap. We got some of this soap last Labor Day at the Belmont Greek Festival and we loved it. I bought a particular scent and I was going to buy some more on the website, but I couldn’t find that particular scent on the website. But I was still going to buy some, but I didn’t (I don’t remember why, probably got distracted and never went back to it) and then here we are Labor Day again — so we bought a lot. I don’t even remember what scent I had wanted, so I just bought a bunch of different ones. This soap is so nice. It lathers up really well and they have a large variety of scents. The vendors are very nice. I cannot remember how many places he said were carrying it now, but I remember being amazed. You can either buy if from their website or at the stores that carry it. There are a couple of different types of soap. I like the Goat’s Milk and Olive Oil mix. My husband bought the Half Goats Milk and Half Olive Oil kind. The mix is made with Coconut Oil, Palm Oil, Safflower Oil, Goats Milk, and Olive Oil*. As I said, it lathers well. As per the website: no “harsh chemicals, NO parabens, NO sodium lauryl sulfate (SLS) and NO other sulfates found in most soaps.” And it smells great. We got a variety of different scents. Believe it or not we only bought a few compared to how many scents they have. There are a lot more scents available, such as Almond, Coconut, Cranberry-Pomegranate, Cucumber-Melon, French Vanilla, the list goes on and on! If you like to treat yourself to soap that is nice on the skin or you like to gift special soaps as gifts I would suggest you try this. I am sure you would be able to find a scent you would love! 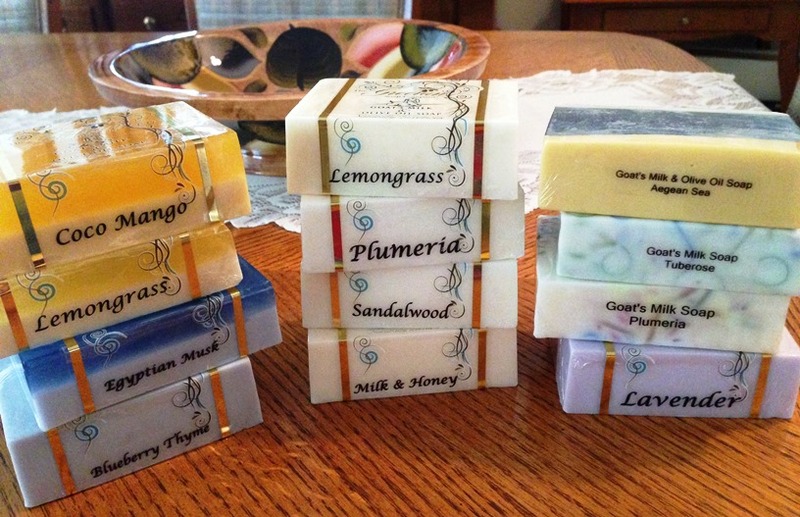 Have you ever tried goat’s milk soap?